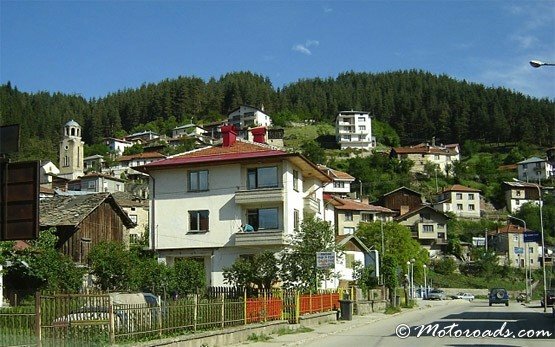 CHEPELARE » The town of Chepelare is situated in the central Rhodope mountains, just 10 km from Pamporovo ski resort, 85 km from Plovdiv and 220 km from Sofia. 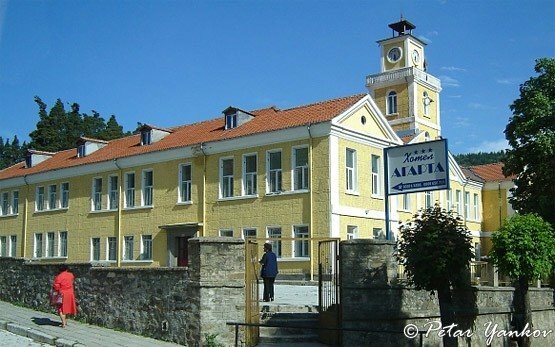 Chepelare is an attractive winter and summer resort with a transitional climate, influenced by the Aegean Sea, with beautiful pine, fir and spruce forests, cheap accommodation in cosy family houses and hotels and winter sports facilities. Traces of prehistoric, Thracian, Roman and old Bulgarian culture can be found in the region. 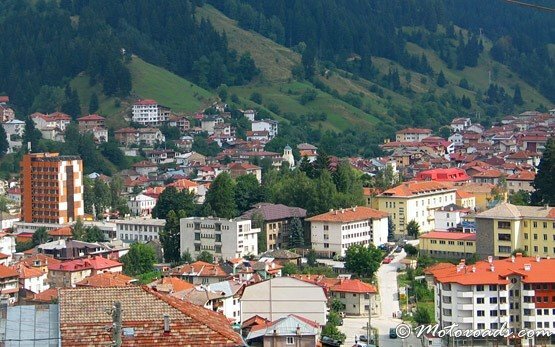 The town hosts the museum of speleology and carsts. Rozhen Observatory is 15 km southeast of the town. Tourists can also visit the nearby nature phenomenon Chudnite Mostove over the Adidarsko Dere river, the waterfalls of Skakaloto and Douplevo, Kosten Kamak rock formation, the protected areas of Srednite Livadi, Momchilovski Dol, Dalboki Dol, Smolyanski Lakes, Nevyastata. The ski area of Mechi Chal (Bear Pick) is located 1.5 km from Chepelare and offers a two-chair lift (2471 m long) to Chala Peak (1872 m high), ski runs for advanced, tourist and long distance skiing, as well as 2 ski tows and ski rooms.